← Vegas – The Great, The Good And The Ugly: Part One – The Great! In Part One of Vegas – The Great, the Good and the Ugly, I wrote about some of my favorite things/places that I tend to visit on every trip. This second part of the series – The Good – looks at places I will certainly consider revisiting (especially the Book and Stage) on my next trip. The Book and Stage. This became one of our favorite places to play video poker. 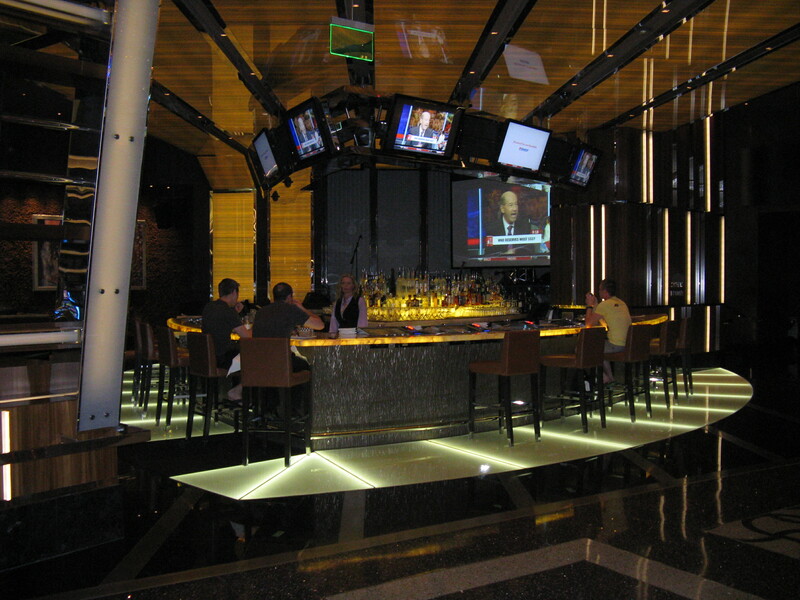 Located in the Cosmopolitan, it is a combination of a sports book, bar and music venue that features up-and-coming, mostly indie acts. We saw a great rocksy-blues band on one of our visits. The Book and Stage has a wide variety of beers (including two of my favorites, Rogue Dead Guy and Fat Tire) and a decent Sauvignon blanc, which I can’t remember the label but I liked it, especially since it was free as long as I played poker. The service was always attentive and friendly. If I had won any money here, I’d move the Book and Stage up to “the great” category. But, unfortunately, winning was not in the cards (or the machines) for me on this trip. The Range Steakhouse. 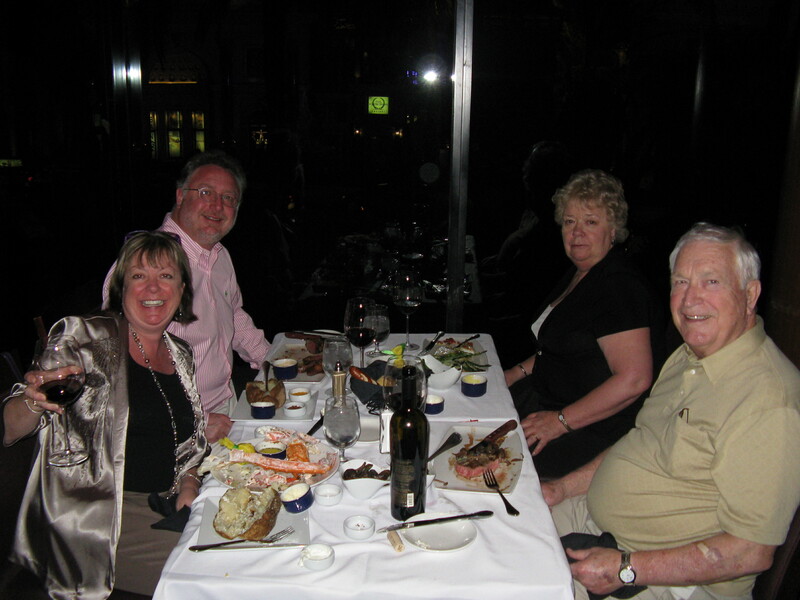 Located at Harrahs, we went there to help Brad’s father, Dan, and stepmother, Wanda, celebrate their anniversary. I’m not sure that I would have tried this place if not for them (I’m partial to Emeril’s Delmonico Steakhouse, where I had the best steak I’ve ever had about five or six years ago), but I’m glad I did. The view was great – our table overlooked the Strip – and the service was spot-on. Chas, our server, was funny and attentive. Brad had an 18 oz. boneless N.Y. Steak Delmonico style ($44.00). Dan had a 20 oz. frilled bone-in ribeye with herb compound butter (also $44.00). In a surprise move, Wanda ordered the roasted free-range chicken ($33.00). I would have bet she would get the steak since that’s what she raved about, but once again would have lost. I had King crab legs. Normally $45.00 a pound, The Range has an option to add a half pound to a meal for $22.00. Thanks, Chas, for suggesting this – it was just the right amount of food for me. Brad chose a 2006 Tresor Ferrari Carano (92 points from Wine Spectator) which was a delicious blend of five Bordeaux varietals. 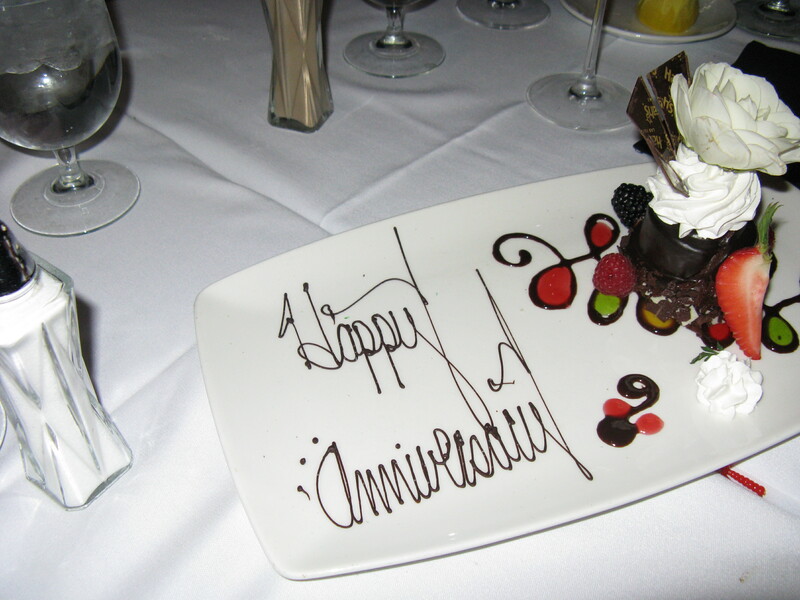 Dan and Wanda were treated to an anniversary dessert that was artfully presented and tasted great, too. Everything was good, and I would go back. Café Bellagio. We met Dan and Wanda here for brunch – it is one of the places they frequent whenever they stay at the Bellagio. I had the southwestern omelet without the chicken. It was okay, nothing to get excited about.The accompanying hash browns and grilled tomato were very good. The mimosas were good (it’s hard to mess up a mimosa unless you use way-too-cheap bubbly), but small and pricey at $12.00 a pop. Dan and Wanda had the Applewood Smoked Bacon omelets – they looked much better than mine. Brad had the pesto pasta special that came with cheese-filled tortellinis, which he said was good. 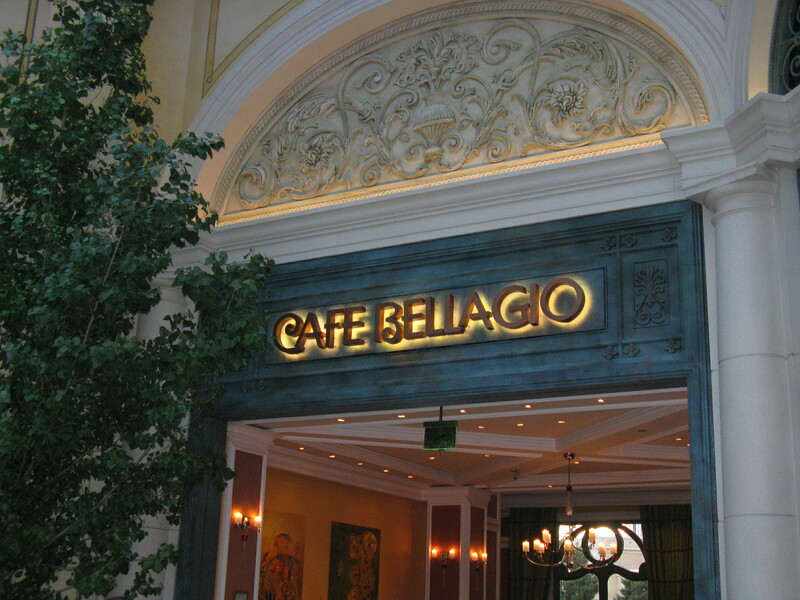 Café Bellagio is open 24 hours and is located right off of Bellagio’s gorgeous conservatory and botanical gardens. I would consider it again, especially if I stayed at the Bellagio. D.O.C.G. 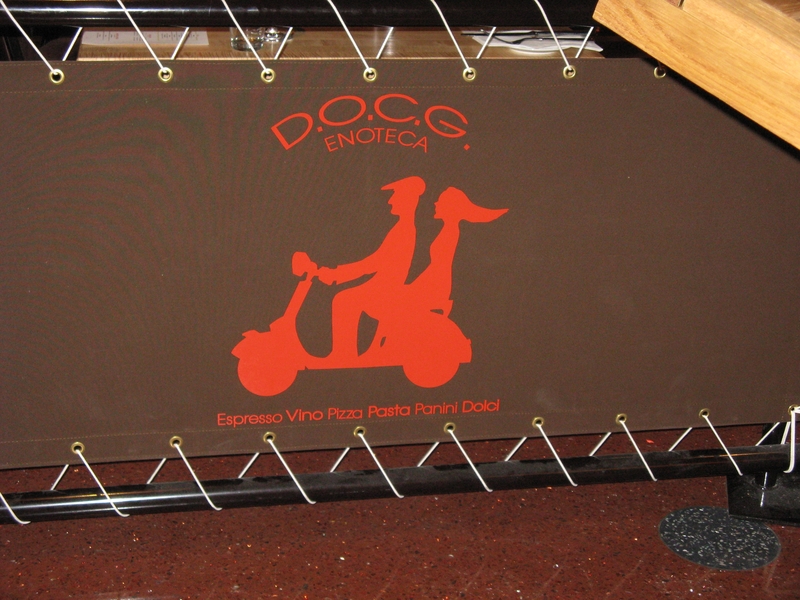 Enoteca. We ate here our first night in Vegas. 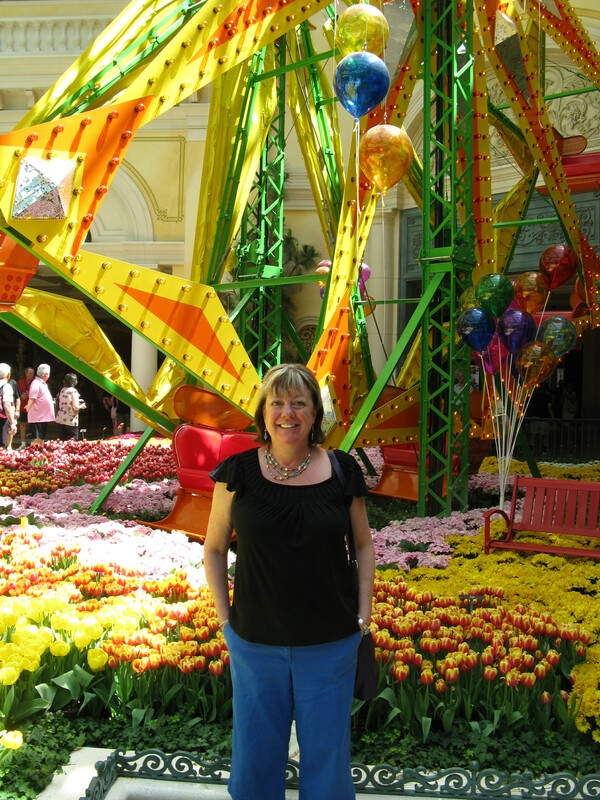 By the time we got checked in at the Bellagio, it was after 8 p.m. Located next-door at the Cosmopolitan, we were able to get a table right away. We ordered a bowl of warm herbed olives ($6.00) to share as an appetizer – yummy! We also shared a margherita pizza, which had a thin crust and was topped with fresh tomato, basil and buffalo mozzarella for $14.00. I would get this again. I had a glass of 2009 Sant’Elena Sauvignon blanc which was delightful at $14.00 (pricey but a good pour.) Service was good and I would go back, especially for lunch. 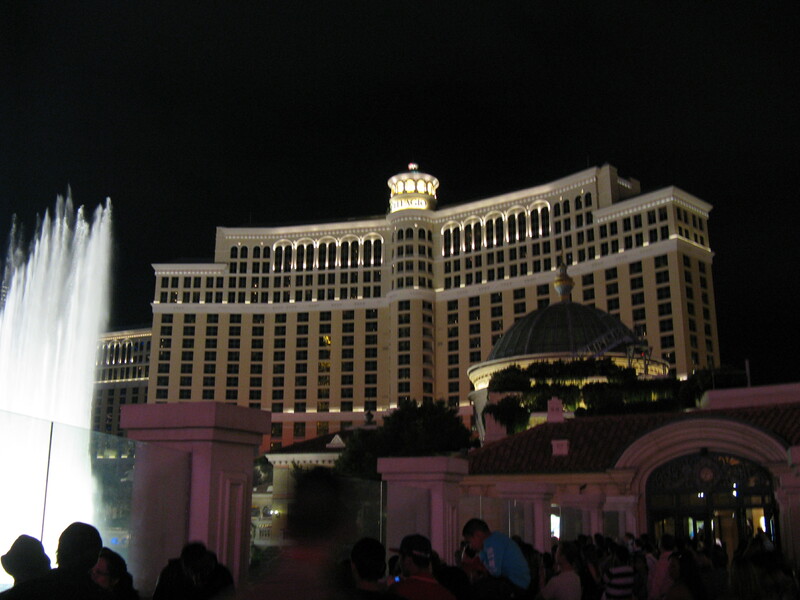 This entry was posted in My Favs and tagged Bellagio Las Vegas, Book and Stage Cosmopolitan Las Vegas, Book and Stage Las Vegas, Cafe Bellagio Las Vegas, Cosmopolitan Las Vegas, D.O.C.G. Enoteca Las Vegas, eat drink and be merry, Fat Tire, food blog, Harrahs Las Vegas, Harrahs Steakhouse Las Vegas, Kel's cafe, Kelley Chisholm blog, Las Vegas restaurants, Las Vegas reviews, Raleigh food blog, Rogue Dead Guy, The Range Steakhouse Harrahs Las Vegas, The Range Steakhouse Las Vegas. Bookmark the permalink.